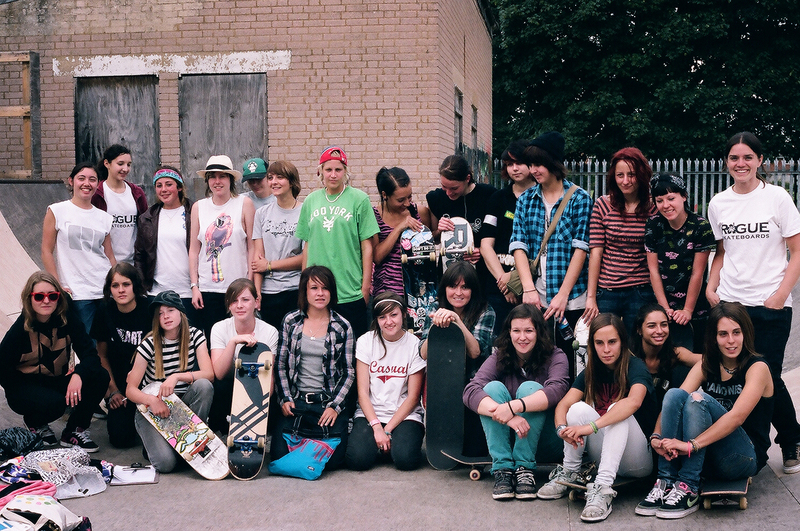 GIRL SKATE JAM UK 2011, the ***10th Anniversary*** of the competition will take place on Saturday 2nd July 2011 at Pioneer Skate Park, St Albans, UK. It’s a double celebration as The Pioneer club is celebrating it’s 70th anniversary this year, so there’s no better way to kick things off! Keep the date free in your diary, there will be special 10th anniversary competitions, photographs and videos from the last decade and places to stay! Lots more info to follow! The date is in my diary, wouldn’t miss it!! In mine too, gonna be fun! St Albans Jam is great – one of my top three comps in Europe. The other two are NASS (UK) and Mystic (Czech). Would love to get over to the Maloof Money Cup (America) sometime but can’t even kind of afford it! I really want to try this but im too scared if im not good enough.